Please fill in the form below and a representative from Willow Nursery will be in touch with you shortly. Register your child today by filling out the form below. A representative from Willow will be in touch to complete your registration. For our unique outdoor facilities. At both locations, we have vast, one-of-a kind outdoor spaces, allowing your little one to explore and roam freely! For our application of the Reggio-Emilia approach. Everything in our nursery has been designed following this approach, from the toys we have to the the colours we use. Reggio is great at making kids strong, resilient and and capable beings. For our qualified and friendly staff. 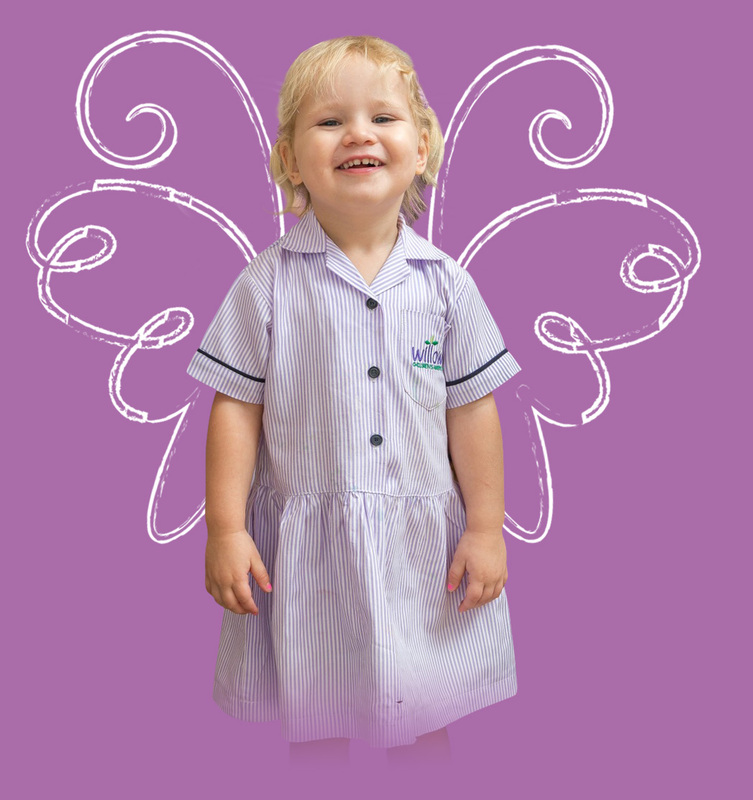 The teachers have the best credentials to deliver the early years education programme to inspire your children. For our impeccable standard in health and hygiene. Our nurseries are inspected by Boecker, and have all received the Safe Child Care certificate for our nursery’s superior performance in safety and hygiene. Ahoy there! 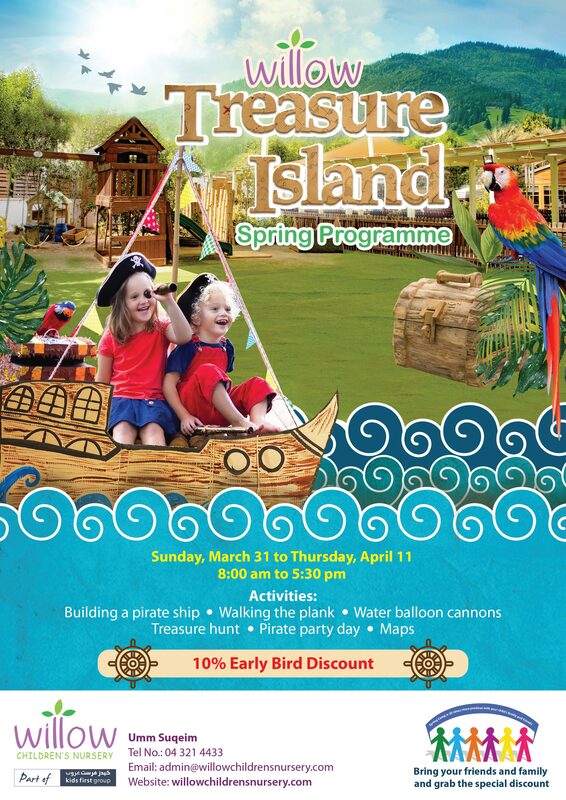 Calling all ye pirates to join Willow Umm Suqeim's Treasure Island Spring Programme from 31st March to 11th April 2019. 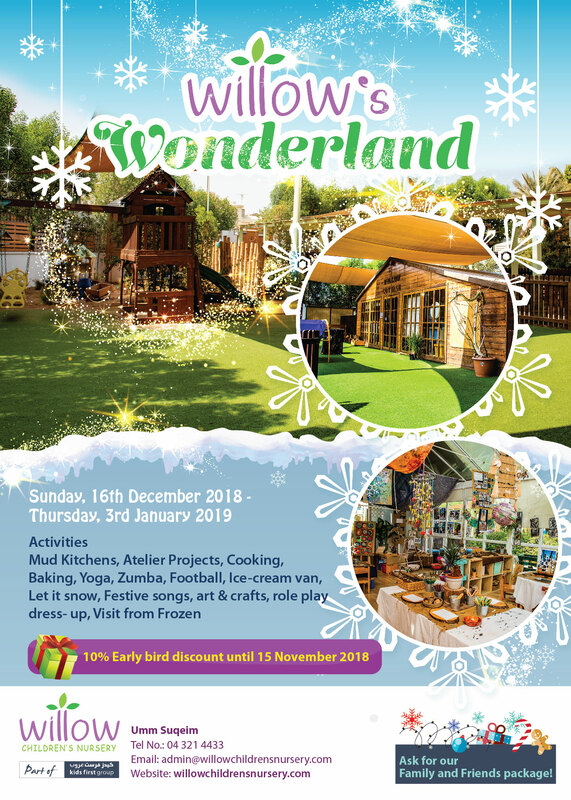 Come and experience Willow's Wonderland for three weeks starting on 16 December 2018 until 3rd January 2019!!! YOU ARE INVITED!!! 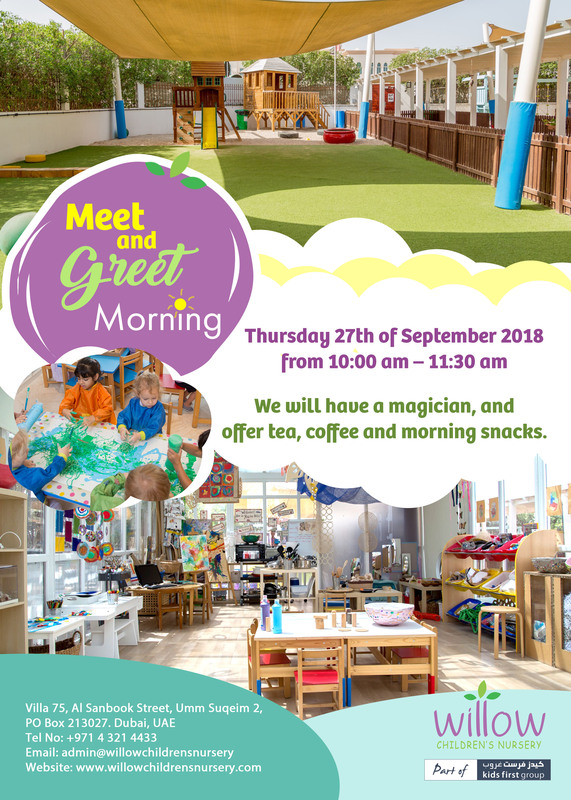 Come and meet our highly skilled and qualified team and have a look around at our lovely nursery. We will a magician and offer tea, coffee and morning snacks for everyone. Are you looking for a fun summer camp for your child? At Willow Children’s Nursery in Umm Suqeim, we’ve prepared a unique summer program just for your child! Join us for two weeks of fun and learning as we delve into the world of science. Exploring and investigation is the name of the game! 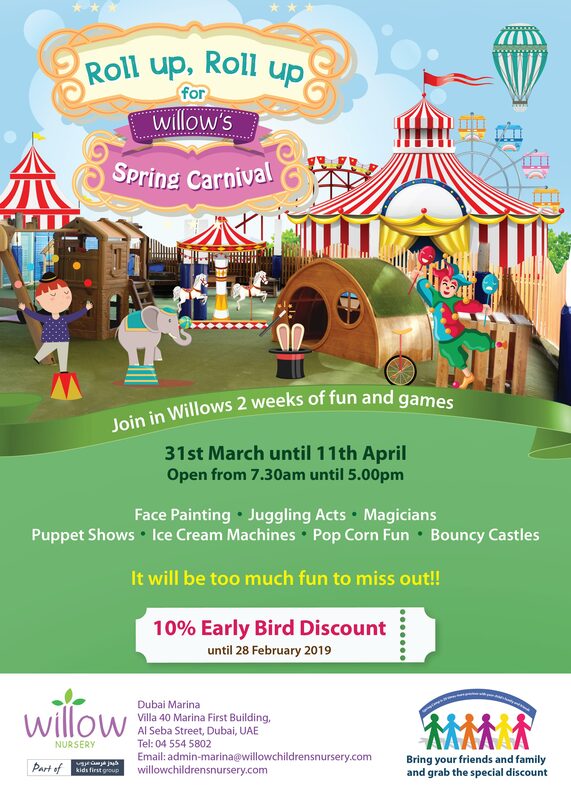 Roll up, Roll up for Willow Marina's Spring Carnival from 31st March to 11th April 2019. Join in Willow's 2 weeks of fun and games. 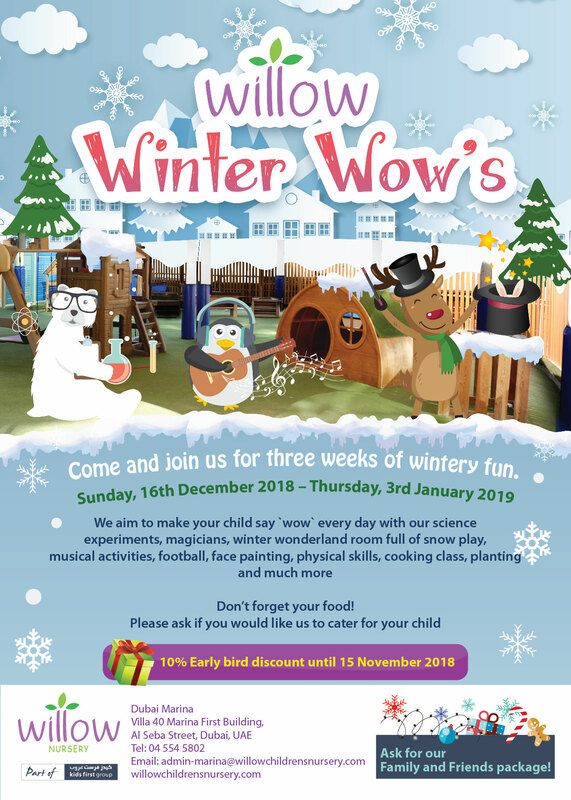 Come and join us for three weeks of wintery fun! 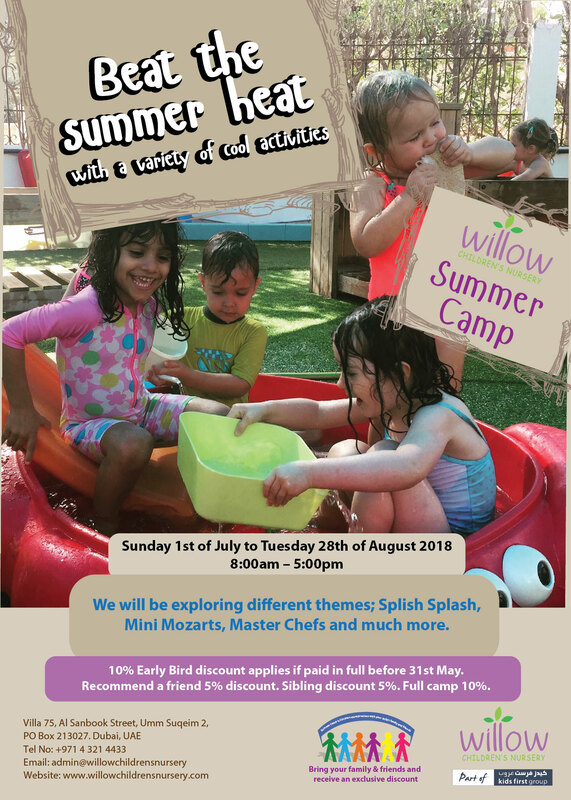 The Dubai Marina kids have just found its best summer plan: The Willow Nursery summer camp starting July 1st. 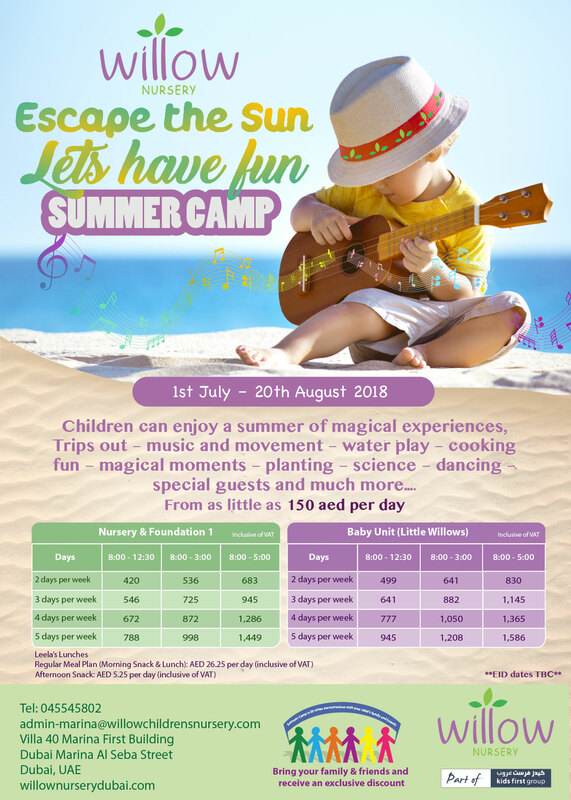 Children can now enjoy a summer of magical experiences, trips out, music and movement activities, water play, cooking fun, planting, science, dancing, special guests and much more! The best part is that all this is possible from as little as 150 AED per day. Join us here at Willow for our Spring Camp. We have a fun filled 2-week camp with lots of activities for your children to enjoy! We would like to thank the lovely families who joined The Cherry Blossoms Class for our Valentine’s Day Special Parent Morning. The children loved making arts and crafts with the ones they love most: mom and dad! One of the best nurseries in Dubai. Well organized, the staff are very competent, strong management. I have the peace of mind that working mom looks for. My two children have been enrolled at Willow Nursery - Um Suqiem Branch for one year now and I can’t say enough positive things about the Nursery. I am thrilled that my children are part of the Willow family!! !